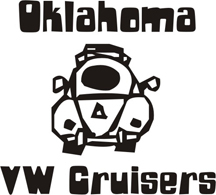 Oklahoma Vw Cruisers • THE 8-5 SPOTTER!!!!!! Last edited by Shark on Tue Aug 10, 2010 12:10 am, edited 1 time in total. there used to be a ghia at classic chevy, was there all the time, a worker no doubt. Keep it up. I might start taking picks of vdubs while I am driving around to.